It is almost time for packing lunches for school. Are you dreading it? Children learn better when they are not hungry so the task is to pack food they will eat and not throw out, hide or trade. 1. You know what your child likes and doesn’t like. Children will food jag, eat the same thing over and over and never get tired of it. If there is a lunch they like give it to them, a fruit, a vegetable, a protein and a carbohydrate. When I went to school I would eat a cold chicken sandwich, bread butter and chicken, an apple, a cookie and drink usually milk everyday for months. My mom couldn’t understand why I didn’t get bored but I just loved it. Life was easy she made it for me and I enjoyed it. Some children don’t like sandwiches so give them leftovers. 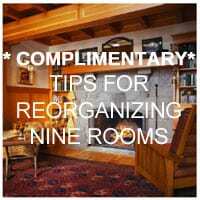 Heat up the leftovers and put them in a Thermos. I had child who hated sandwiches, I would heat up taco meat and send the shell and toppings cold, a baked potato with butter or cheese, soup, stew, home made macaroni and cheese. Pack warm chili with taco chips, cheese and salsa. When you are cooking make extra and freeze it in individual meals and then you have a supply of lunches in your freezer. 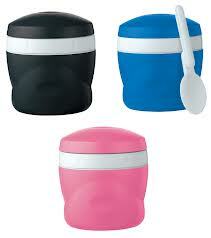 Send warm foods to school in an unbreakable thermos. 3. Get lunches packed after supper when the food is out. As part of our evening routine, each child would pack the food for their lunch that didn’t need to be refrigerated. They packed, veggies, pickles, crackers cookies and in the morning I would add a sandwich or hot food to the lunch bag. If you have more than one child this really makes life easy because you don’t need to remember which child like what. Some schools have schedules where children eat smaller meals a couple of times a day. 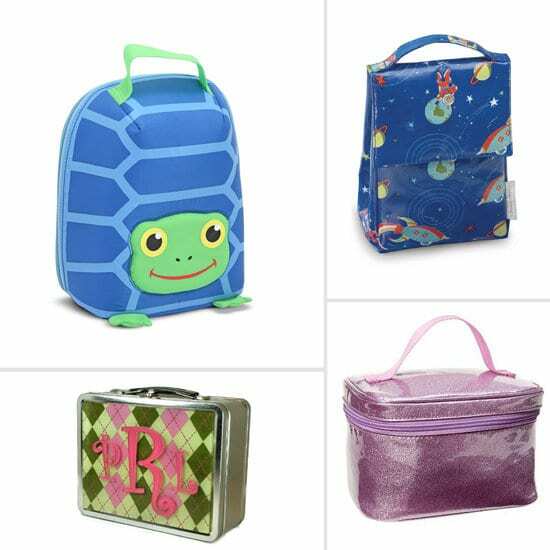 Pack things that your child can eat a few items at a time. Cut up cheese, meat, bread into cubes . Send nuts, hard boiled egg, veggies or cut up fruit. If you have a container with lots of sections they can open one box and see all their choices. It makes it easier to pack and the child doesn’t have to struggle with lots of container and there is less to wash at the end of the day. Children are not good at washing their hands before every meal so encourage them to use a fork, send a plastic one in their favourite colour. 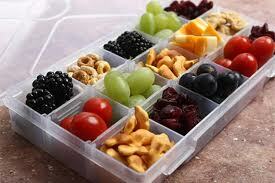 Send a variety of foods in small quantities for quick snacks throughout the day. When your child brings their lunch home remember it has been unrefrigerated all day, 8 hours, and dirty hands have been in the container touching all the food. Compost the leftovers. Re-evaluate what you are sending and how much food you are putting in their lunch. 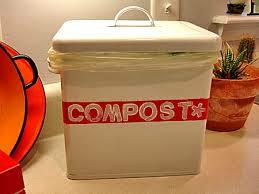 At the end of the day compost leftover to a prevent a mild case of food poisoning. Don’t use school lunches as a time to introduce new foods or worry about variety in their diet. Use supper time or weekend meals to introduce them to new foods. You want them to eat a healthy lunch everyday and since you are not there to supervise them when they are eating, make a plan with your child so you can all be happy.